World Peace, Can it Happen? Unfortunately, the world is too busy looking for ways to condemn Israel and placate Arab/Moslem terror states to ever make "world peace" a reality. World Peace means peace all over the world. That means that Israel's existance will not be endangered. The following film shows that a new generation of Arab terrorists are being trained in Gaza, davka, by the United Nations. How can anyone who honestly believes in PEACE allow such terrorist training aggression to exist and continue? The so-called moderate sic Palestinian Authority is also supporting and training terrorism against Israel in order to destroy our peaceful democratic country, Israel, which is the only Jewish country in the world. And at the same time the United States, led by its President Barack Hussein Obama is facilitating a rushed deal with unrepentant Iran to supposedly restrict Iran's nuclear development. The positive effects on world peace of this deal seem to be as reliable as Cinderella's pumpkin chariot. Obama and crew have no problems trusting Iran but consider Prime Minister Binyamin Netanyahu a danger. It seems like Obama considers Netanyahu like the little boy who called the emperor "stark naked," when everyone else complimented him on his fake clothes. Former Prime Minister and Jerusalem Mayor Ehud Olmert has been facing multiple corruption charges for years. It was because of these charges that he had to resign from being Prime Minister of Israel. At this point, there aren't too many people, other than him and his lawyers who can keep up with all the cases. I admit that I've lost track and was surprised a few minutes ago when I saw headlines saying that he was convicted. I hope that these convictions dissuade others from corruption. The French Government did not want Netanyahu to upstage their attempts to whitewash the dangers to their Jewish population and Jewish visitors. I'm glad that Bibi ignored the French, and I'm also happy that he reminded French Jews that they would be safer, better protected in Israel. This sort of message is a message that Israel is supposed to broadcast. It sounds very different when given by a foreign leader. When that happens, it's clear that the foreign leader does not want the responsibilities of a Jewish community, nor the benefits. It also shows that the said leader does not consider the Jews to be intrinsically connected to his/her country. 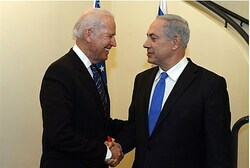 Considering the blatant antipathy of the Barack Obama Government to the State of Israel, it's no real surprise that his Vice President Joe Biden faux pased big-time. For those who keep insisting that everything is hunky-dory for Jews in the U.S.A. I suggest taking Biden's message into consideration. Remember that his speeches are written in advance and checked for snafus. This is a very clear message from the American Government that Jews are not full-fledged Americans. REALITY: THEY Do Want Israel Destroyed! The State of Israel does have a lot of very dangerous enemies. Let's start with the so-called "pro-Israel" J Street. 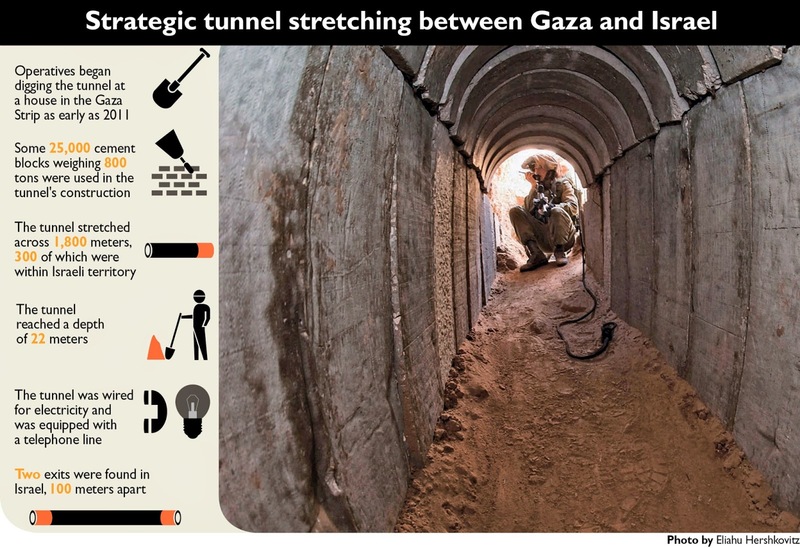 The EU-European Union is more comfortable with Hamas than with a secure Jewish State. How could anyone consider Hamas non-terrorist? United States President Barack Hussein Obama and his State Department. A simple check in the History Books will show that in the days leading up to the historic United Nations vote, November 29, 1947, favoring the establishment of a Jewish State, the official State Department recommendation was to vote "no." Over the years, the American policy was at best "hands off," and only later, after the 1967 Six Days War did the American Government accept that Israel truly existed and wasn't going to be easily defeated by its Arab enemies. The Nixon-Kissinger plan during the 1973 Yom Kippur War was to control Israel after their planned stalemate between Egypt (the aggressor) and Israel which had been shocked by the attack. Israel's defeat of Egypt wasn't what they had been expecting. Obama is just a worse actor, having an awful time hiding his true feelings about the State of Israel, than his predecessors. Unfortunately, Prime Minister Netanyahu is making an awful mistake, yet again, in trying to placate the Americans. That's why I won't vote Likud. This doesn't surprise me at all. Don't brush this off as paranoia, please. Remember that even paranoids have enemies. This joint KCC-HH is cross-posted on me-ander. This Shabbat was Shabbat HaGadol-Tzav, The Great Shabbat-Command! And I've found myself hosting the pre-Passover Havel Havelim and Kosher Cooking Carnival now that it's dark and Shabbat has ended. Havel Havelim is the long-running international weekly Jewish blog carnival. It was started by Soccer Dad who now longer blogs, and now we organize it on our facebook page. It floats from blog to blog, whoever is willing to host. 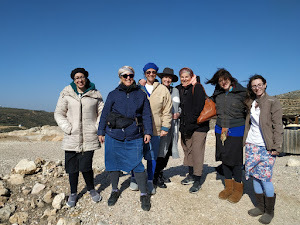 Next Havel Havelim, just after Passover, will be hosted by Tzivia, Adventures in Aliyah Land please send to tzivia@aliyahland.com with a one-line description of your post, thanks. The monthly Kosher Cooking Carnival is my initiative, and it has also been in existance for quite a few years. It includes posts about all aspects of kosher food and kosher cooking, cookbooks, halacha (Jewish Law,) customs, restaurants and recipes. It also has a facebook page to notify people about who's hosting etc. I'll probably host next month (according to the Jewish Calendar,) too, unless there's a volunteer. If I'm just doing KCC, it'll be on me-ander and not Shiloh Musings. Send your links to me at shilohmuse@gmail.com, thanks. I'd appreciate your visiting the blogs, comment, share and especially share the link to this HH-KCC combo, thanks. Remember, you don't have to be a blogger to enjoy, read, comment and share Havel Havelim and the Kosher Cooking Carnival!! 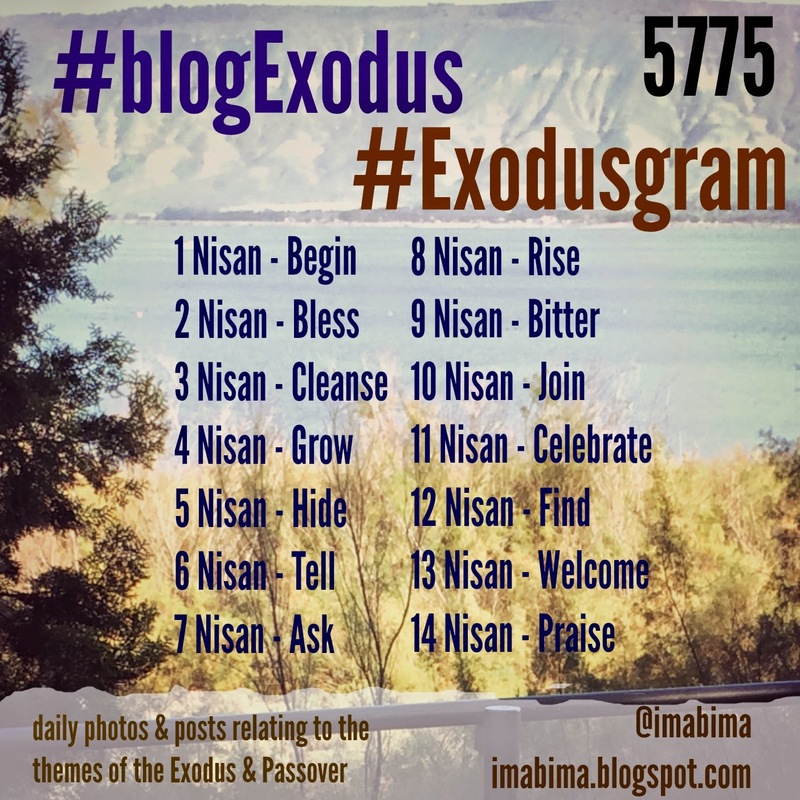 Here are the posts, in no particular order, except that those sent by the bloggers are first. Then mine and those I found. How to fix your internet problems in Israel (sort of). Beef in Beer, Great Success! Free attractions and Museums on Pesach 2015! Two Audio Shiurim for Pesach: "Two Types of Redemption", and "Pesach and Eliyahu Hanavi"
Is this the End of the Two-State Solution? Netanyahu's "Anti Arab" Election Speech, Was It Racism or Realism? Please join our blogging community. Newly elected, or reelected after a period out of Knesset, Moshe Kahlon is setting himself up to be the "kingmaker." This does not surprise me at all. Looking at the people who joined Kahalon for his run to the Knesset power in Israel I sensed Leftists, not Centrists and certainly not Rightists. So, I'm not at all surprised that he's now playing very hard to get, cancelling a crucial meeting with Bibi's team, even after first telling President Ruby Rivlin that he recommends Netanyahu. His words at that time were that the thirty 30 MKs of Likud made it clear that the people want Likud. At no time did he actually say that he personally preferred to see Binyamin Netanyahu in another term as Prime Minister. Kahlon's campaign focus and promises also had more in common with Lapid, Herzog-Livni and Meretz, not the Likud and not Bayit Yehudi (Jewish Home.) Could there be a secret deal by those Leftists a la Oslo? And as I've written before, I sure don't envy Binyamin Netanyahu!! As every year, there will be activities in Shiloh Hakeduma, Ancient Shiloh at Tel Shiloh over Passover. Activities for the entire family, really! There's more information on the Hebrew site. April 5-8, 2015, 9am-6pm, tours, crafts etc at Tel Shiloh. April 9 will be the Biblical Marathon and other races from 9am - 6pm, plus other activities; more information in Hebrew. Besides that, I'm planning my usual Women's Rosh Chodesh Prayers, which we haven't done for a couple of months due to snow and then a Shabbat Rosh Chodesh. Please save the date, publicize it and join us. This was posted on: Politico, Before It's News, ABC News, Freedom's Lighthouse, DEBKA, Western Journalism, and several others. Interestingly, Iran's IRNA website quotes it both as "more than" and "for almost" 50 years. Actually, a careful listening to the video reveals him saying, “an occupation that has lasted more, for almost 50 years, must end” (at approx. 53-57 seconds into the video). According to Merriam-Webster, a Freudian slip is a noun meaning, "a mistake in speech that shows what the speaker is truly thinking." 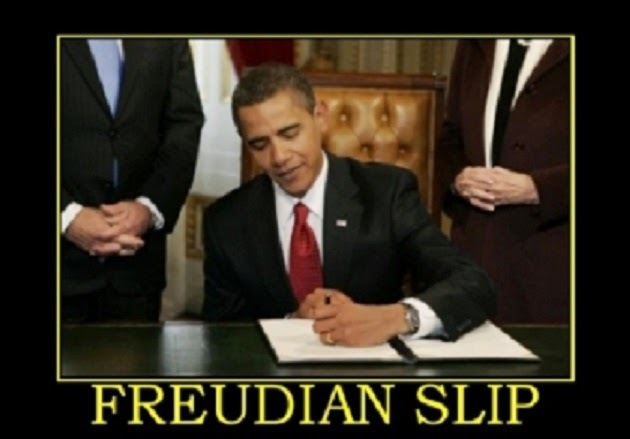 The full definition of FREUDIAN SLIP is given there as "a slip of the tongue that is motivated by and reveals some unconscious aspect of the mind." At least two different websites have noticed that if the so-called "occupation" began 50 years ago or more, that would put it before the year 1967, when Israel liberated Yehuda v'Shomron (Judea & Samaria) from Jordan. Meaning, that the White House now views the borders of even pre-1967 Israel as "occupied territory." However, now that we have seen and heard the video, what apparently has happened is that McDonough, in a Freudian slip, revealed what the White House actually thinks. The fact that he could utter the word "more" (than 50 years) in the context of the "occupation," even if he quickly corrected himself and said, "for almost," shows his (and by virtue of his position, his superior's) real stance on the matter. It is obvious to me that this is the reason so many sites quoted him as saying "more than 50 years," and why The New York Times had to issue its correction. AS IF this weren't bad enough, he also said that "the US will never stop working for a two-state solution…" I'd like to ask him: even if Abbas quits and Hamas takes over the "palestinian authority"? Even if they continue sending bombs into Israel, running down people at bus stops, and all the rest of their wonderful behavior since the "occupation" of Gaza ended? REALLY, Mr. President? Come back to Planet Earth!!! Time for Israel to Demand an Apology from Obama and Crew! Who the ##!%&*##! is that Barack Hussein Obama that he can not only try to control the results of Israel's democratic elections, but then criticize the results and elected leaders? No, being President of the United States of America does not give him or anyone else an automatic moral superiority!! No, being President of the United States of America does not give him or anyone else superior wisdom, the ability to judge the words and actions of others. No, being President of the United States of America does not give him or anyone else "Emperor of the World." No, being President of the United States of America does not give him or anyone else the authority to decide which country should exist and which country is legitimate or not. The official American interference in last week's Israeli Elections campaign is not only immoral, but it may be illegal by American criteria. Would the American legal experts please check out if Obama, along with a long list of his "executive orders" has crossed the line and can be impeached? Unlike the sitting American President, Barack Hussein Obama, I received all of my formal education in American Public Schools. Even the completion of my university degree, although in Jerusalem, was in a branch of SUNY-State University of New York, Empire State College. I did not leave the United States until the age of twenty. I thoroughly enjoyed and got decent grades my required "Social Studies" classes, which combined, integrated History, Geography, Citizenship, American Constitution etc throughout my school career. I have no doubt that my background in American History and Government is a lot stronger than Obama's. Actually, my Prime Minister, Binyamin Netanyahu, also went to American high school and college around the time I did. And in our day the curriculum was strictly grounded in American History and democratic values, unlike the more modern "multicultural trends" in education. So, he, too, probably can out-perform Obama if off-the-cuff (without being prepped) about American History and Government. Actually, I have no doubts that Netanyahu can easily show his superior history-government knowledge not only in competition with Obama, but also his advisers and speechwriters. I've heard Bibi's off the cuff answers to difficult international history and Political Science questions. That is something that Obama and staff probably know, too, and may be the key to why they hate him so much. Yes, simple jealousy. Americans, the ball is in your court. Barack Hussein Obama is your president. Don't wait for the next elections, which are too far off. 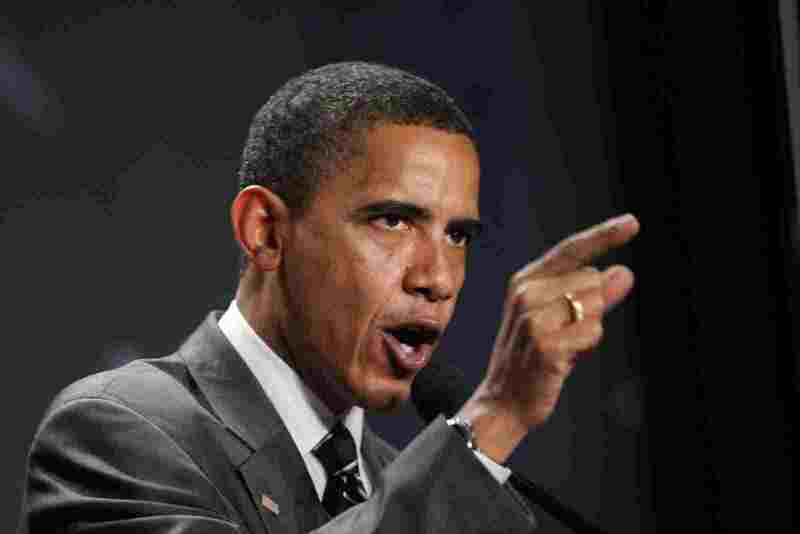 Stop Obama and his immoral antidemocratic bulldozer NOW! The sixth episode of the Israeli satire program "We'll be the Judge," from the creators of Latma's Tribal Update, Israel Channel 1, March 12, 2015. I Sure Don't Envy Bibi Netanyahu! Even though the Israelis voters spoke pretty clearly and do prefer Prime Minister Binyamin Netanyahu for another term of office, giving his Likud Party many more seats than they gave Herzog-Livni's, assembling a coalition won't be easy for him. Besides Naftali Bennett who has made it clear that he firmly supports Netanyahu and hasn't leaked any demands, all of the other party leaders are making it clear that they aren't in Bibi's pocket and expect a hefty payment, meaning important cabinet position for them and most of their MK's. Just a couple of years ago, Netanyahu invited Avigdor Lieberman's party, Yisrael Beitenu to run with Likud on a joint list, which ended up to the benefit of Lieberman and detriment to Likud. 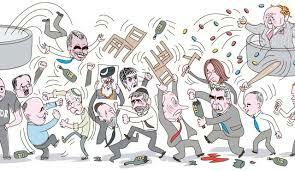 This year, on its own, Yisrael Beitenu has lost strength, but it still has the power to make or break a coalition. Lieberman is playing hard to get, insisting that although he's leading one one of the smallest parties in Knesset, he still deserves a "senior position." All during the campaign my feeling was that the Likud could not count on former Likudnik Kahlon at all in terms of joining the coalition. 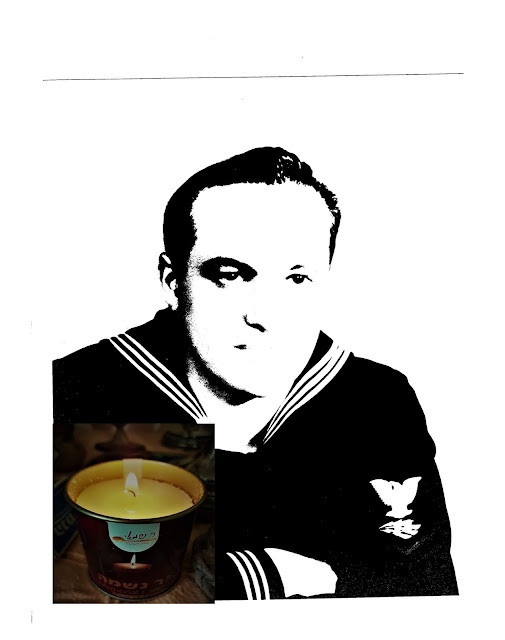 He'd be like the classic "woman scorned," even though he was the one who left the ship. And now the rumor is that he's going to play Bennett's old role dragging in Lapid as a "third and very unwanted wheel" as a condition for his joining a Likud government. Yair Lapid's total lack of loyalty and discipline was one of the reasons Netanyahu had to declare new elections. And it was also Lapid's rabidly anti-Chareidi conditions that Bibi accepted which seriously damaged Likud's relationship with the Chareidi parties. And Netanyahu needs those MKs to form a coalition. Nothing here is going to be easy. Voting and counting the votes are long over. The results are clear. The Israeli electorate does not want a Herzog-Livni government, not even just Herzog. It wants to give Binyamin Netanyahu another term of office, but the political leaders, MKs elected last week mostly have their own egos as priority, not the good of the country nor the will of the people. As I've written before, I predict instability, and I wonder if Netanyahu will succeed in this seemingly impossible task. If he doesn't, then Herzog will get a chance to form a government coalition. And no matter who finally succeeds I doubt that the government will last very long. There is also a possible scenario that no coalition will be formed, and we'll be voting again this coming summer. And don't forget that the media's rumor mill has been talking of President Ruby Rivlin pushing Netanyahu and Herzog to come up with a "National Unity Government," like the one that had Shimon Peres and Yitzchak Shamir trading places in the Prime Minister's office. Insanity is on Israel's Left, Not Right! just didn't convince your ordinary Israeli that the Herzog-Livni combo or even Herzog alone would be better than Prime Minister Binyamin Netanyahu. TEL AVIV, Israel (AP) — Israeli liberals woke up after national elections with a demoralizing feeling: Most of the country, in a deep and possibly irreversible way, does not think like they do. 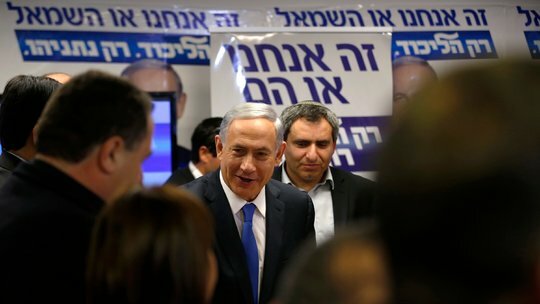 There had been a sense of urgency among moderate Israelis, and even an ounce of hope, that widespread frustration with Prime Minister Benjamin Netanyahu's six straight years in office would lead voters to pull Israel away from what they perceive as its rightward march toward international isolation, economic inequality and a dead end for peace with the Palestinians. But as the results trickled in on Wednesday, they showed Likud with a shocking lead that has all but guaranteed Netanyahu a third consecutive term. Netanyahu called it a victory "against all odds." The liberals' optimism has been replaced with despair — and an infuriating belief that the masses may never understand that logic shows the current path is suicidal. More Israelis fear Arab terrorists aka the Palestinians sic and don't want U.S. President Barack Hussein Obama dictating Israeli policy. That's why the Likud got more votes. I honestly hope that this is the last post on this topic, at least for awhile. I'm sick of it, but it is important and still in the headlines. Only someone with their head in the ground or purposely blinding themselves from the truth can say with any honesty that the United States President Barack Hussein Obama treats Israel fairly. Obama has been trying to dictate not only policy, but Israeli election results. This unprecedented and unabashed interference goes against all diplomatic norms and even American Law. An official statement put out later in the day said Obama called Netanyahu to congratulate him on his election win and used the opportunity to reaffirm his commitment to a two-state solution, a longtime cornerstone of U.S. policy on the Middle East conflict. But Obama also delivered a blunt message that underscored the seriousness of the U.S.-Israel rift. "The president told the prime minister that we will need to reassess our options following the prime minister's new positions and comments regarding the two-state solution," the White House official said, speaking on condition of anonymity. The Israeli electorate voted for the Likud and rejected Obama's pets Herzog and Livni. Netanyahu's late surge in popularity was, davka, after he gave the impression that he was not going to support the establishment of a new Arab state, Palestine sic, in the heart of the Land of Israel. Israeli voters who fell for his carefully worded statement and voted Likud instead of Bayit Yehudi or Yachad feel cheated, since now Bibi has, no surprise, backtracked to placate the Americans. I think that the time has come for Israel to admit that we don't have a friend in Washington DC. It's highly recommended to read the Editorial in Commentary Magazine, A Statement on the Crisis in the U.S.—Israel Relationship. This week's Israeli Elections is a prime example of the antidemocratic hypocrisy of America's President Barack Hussein Obama and his supporters. A, or the main, plank in the Labor aka Zionist sic Movement allegedly led by Isaac Herzog and Tsipi Livni was that they would repair the shaky relations with the American Government. Despite the unabashed and amazingly public interference by the White House in the Israeli Elections, the Israeli public made it clear that they aren't for sale. I was in the states, mostly New York, during the two weeks before Israeli Elections, yes, during the time of Prime Minister Netanyahu's much heralded speech in congress, and I only heard praise for what he said and what he stands for. To be honest, I think that Obama's distaste for Bibi and interference actually helped Netanyahu's campaign. I thank President Obama for helping to propel the Likud to a landslide victory over its main opponent, Labor, which adopted the name Zionist Union for this election. While the notoriously unreliable Israeli polls had Zionist Union and its head, Isaac Herzog, leading Likud by a tally of 24 to 21, in the end ZU remained stable while Likud soared to 30 mandates (Knesset seats), a difference of 43% from the forecasts! Many Israelis and Americans were disgusted. Just to remind you, that the myth of American friendship and support of Israel is no more than a myth. The United States actually opposed the establishment of the Jewish State. Truman had to be pushed by an old friend to override the State Department's opposition in the November 29, 1947, U.N. vote. There was no government aid to Israel until after the 1967 Six Days War. The remarkable, earth-shattering victory in 1967 was Israel's alone, no allies at all. The 1973 Yom Kippur War saw the U.S.A. trying to control both Israel and Egypt into a "draw" to make Israel dependent on America. The so-called American "aid" sic packages are just ways to prop up the American economy and to the detriment of Israel. Don't forget the disproportionate and unprecedented imprisonment of Jonathan Jay Pollard who has been punished more severely than enemy communist spies for giving unauthorized data to an ally, Israel. The Israeli electorate very effectively conned the pollsters by voting very differently than predicted. I know of people who intentionally and proudly give pollsters incorrect answers, and many of my friends have in principle refused to give answers at all. This "screw you" attitude made the professional polling companies look even less competent than weather forecasters of the mid-twentieth century. Israeli elections take dramatic turn as official tally gives Likud sweeping victoryWith nearly 95 percent of precincts reporting before dawn on Wednesday, the Likud holds a major edge over Zionist Union in the distribution of Knesset seats. According to the official up-to-the-minute tally, Likud wins 29 seats while Zionist Union comes in second at 24 seats. The parties that follow are Joint Arab List (14); Yesh Atid (11); Kulanu (10); Bayit Yehudi (8); Shas (7); United Torah Judaism (7); Yisrael Beytenu (6); and Meretz (4). The unabashedly loony Left Israeli media had been excitedly salivating over a Herzog-Livni victory, like some college freshman about to go to his first drinking party, even wondering if Netanyahu would have the guts to show up to admit defeat. Of course winning the most Knesset seats, as the Left had learned the hard way a few elections ago, does not mean that the prize, being Prime Minister, is guaranteed. Now the dirt is really going to fly. Moshe Kahlon and his Koolaid, we're "altogether" party will be wined, dined and effectively bribed from both sides. I know little about him and wouldn't venture a guess as to which way he'll go, besides for the best deal offered. Unlike many who had been planning on voting for Naftali Bennett's Bayit Yehudi, Jewish Home, I didn't heed Bibi Netanyahu's plea to give him the vote and make Likud stronger. For a couple of very important reasons I voted for Bennett. One is that I know very well that regardless of Netanyhu's veering to the Right in his campaign he would be giving us another Center-Left policy government. I just don't trust him, even though I think he's far superior than his national competitors. I want him to really need Bennett's MKs, so a weakened Bayit Yehudi is bad. 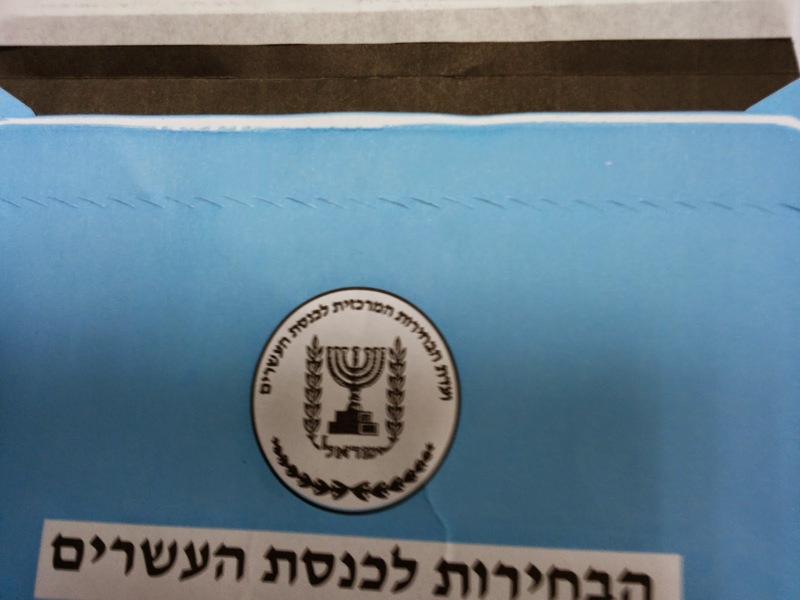 I've done my share for Israeli democracy, and now I'll take my usual seat to observe the politicians play their games and pray that it will be good for the State of Israel and the Jewish People. Here's the envelop. See the perforation for easy opening? I'm just going to take a sleeping pill, remember that I just landed from the USA barely 24 hours ago, and go go sleep. Now that the polling stations are closed, and everyone who can vote has voted. It's just a matter of counting votes, blocks and cementing deals. That's for Bibi, Boozji and cronies, not me. Remember that it takes all night to count most of the votes, and the numbers being bandied by the media aren't the real votes. And the soldiers votes will take another few days to count. There are good chances that Bennett's Bayit Yehudi will be richer from them. But if you really want to spend the night playing "what if..." then here's Arutz 7 and here's the Jerusalem Post. If you have any other suggestions, then please add in the comments. 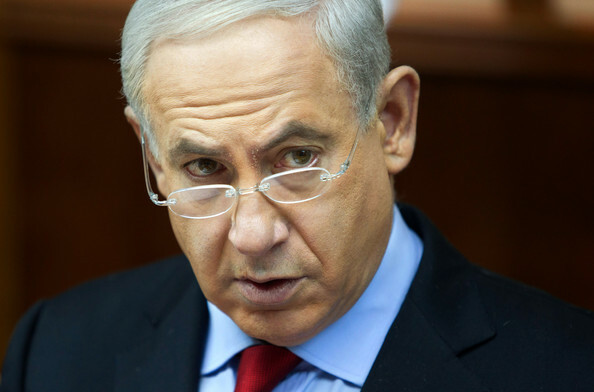 Is Bibi Really Backtracking on a "Palestinian State," or is it Last Minute Electioneering? 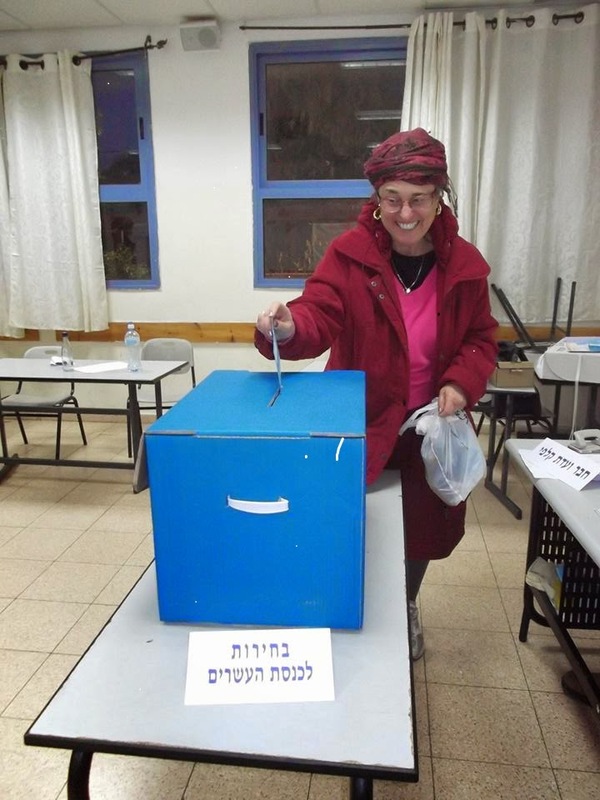 The polling stations are now open here in Israel. Within 24 Hours we will know the make up of the next Knesset. We will not know who will be Prime Minister for longer. There has been last minute news about sitting Prime Minister Binyamin Netanyahu that he now pledges that he will not facilitate the establishment of a Palestinian state. Israeli Prime Minister Benjamin Netanyahu, in an interview with NRG the day before the general election, said that a Palestinian state would not be created if he remained prime minister. Video by Reuters on Publish DateMarch 16, 2015. Photo by Baz Ratner/Reuters. JERUSALEM — Under pressure on the eve of a surprisingly close election, Prime Minister Benjamin Netanyahu of Israel on Monday doubled down on his appeal to right-wing voters, declaring definitively that if he was returned to office he would never establish a Palestinian state. The statement reversed Mr. Netanyahu’s endorsement of a two-state solution to the Israeli-Palestinian conflict in a 2009 speech at Bar Ilan University, and fulfilled many world leaders’ suspicions that he was never really serious about peace negotiations. If he manages to eke out a fourth term, the new stance would further fray Mr. Netanyahu’s ruinous relationship with the Obama administration and heighten tension with European countries already frustrated with the stalled peace process. Are we supposed to believe him or not? That is the question! Honestly, I'd still rather give my vote to Bennett's Bayit Yehudi, Jewish Home, which has been consistently against another Arab terror state. 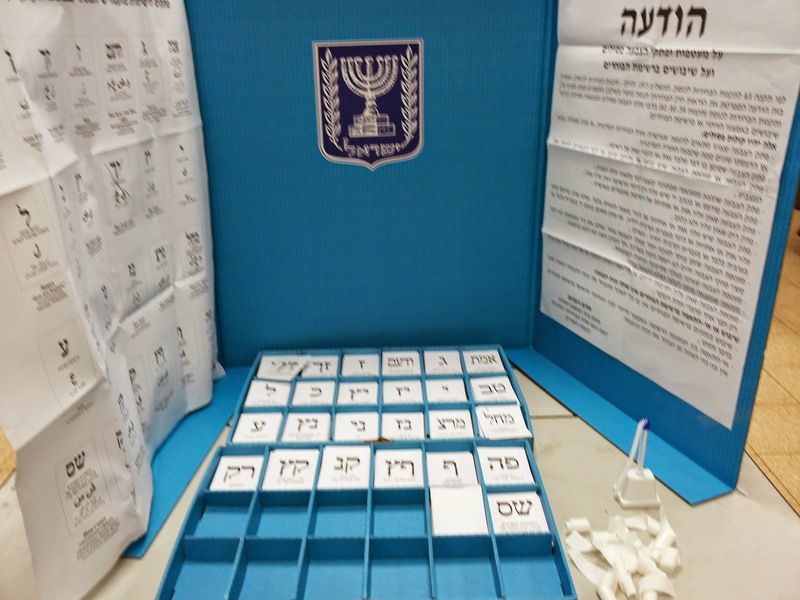 Israeli Elections: Which Political Party is Really Best for the Future of the State of Israel? 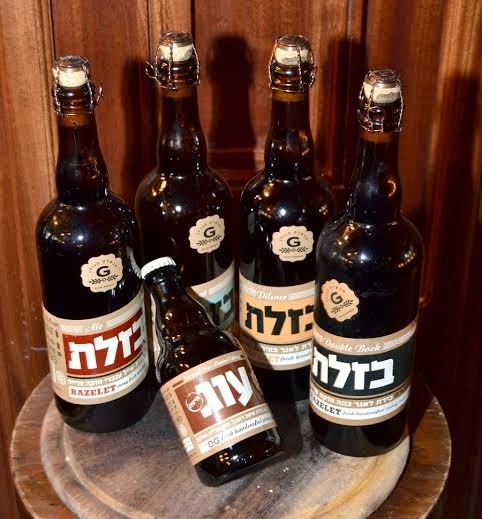 Sometimes too many choices aren't good, and that is how I feel right now on the eve of the 5775, 2015 Israeli Elections. We're only in the middle of March, and as I write the year I wonder if we will end up with elections again really soon. Will they be 5775, 2015 or 5776, 2015 or 5776, 2016? When I choose which party to vote for I choose by what should be best for the country, the State of Israel, its security, economy and future. I look at the economy in the "big picture," not how things may affect me personally. I want to hear that from my Israeli political leaders. I have no respect for those promising cheap apartments in affluent neighborhoods, because that isn't good for the State of Israel. I also want to hear Israeli politicians talking about the privilege of serving the country, whether as a soldier or in a special volunteer program. They shouldn't refer to these as burdens or for "suckers." 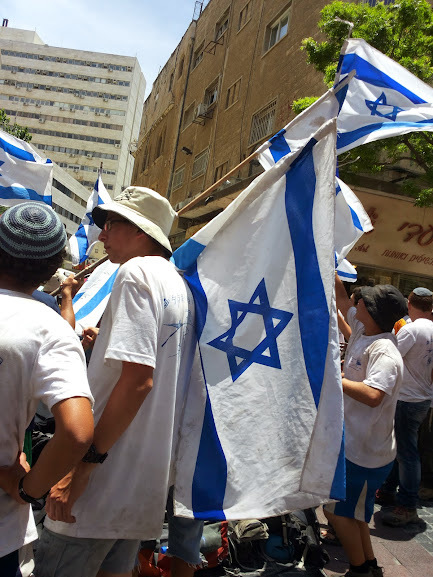 I'm an old-fashioned Israeli patriot and I'm proud of it. Israeli Elections 2015, 5775, Prediction: Instability! One doesn't have to be a great political pundit to predict political instability here (I will be home soon G-d willing) in Israel. The outgoing Likud government, Bibi's third, if I haven't lost track, lasted less than two years. The polls are showing that it is possible that either Likud or Labor-Livni are capable theoretically of forming a coalition. Israeli Elections: March 17 is Just Stage or Israeli Political System for "Dummies"
For the Israeli public and political leaders, elections to the Knesset on March 17 isn't the end of the suspense. It may take days or weeks for us to have a new government, to know who will actually be Prime Minister. Unlike the American political system and many other countries, counting the votes doesn't tell us what we really need to know. It just lets us all know how many MKs each party will have and which parties will be in the Knesset. The Prime Minister needs to control more than sixty 60 MKs to have a ruling coalition. None of the parties will come close. That means they have to make deals with others. I have no doubt that the party heads have been negotiating all along. The question is which party's leader, Likud or Labor can cajole and control sufficient MKs. As much as I hate the idea of the Bobbsey twins, Herzog-Livni to succeed, I really wouldn't mind hearing Bibi Netanyahu opposing their plans, which are too similar to things he would do in power. I am one who hasn't forgotten that it has only been the Likud to give up our holy land and destroy Jewish communities. The Likud has traditionally been its best in opposition. I sincerely hope and pray that if Bibi and Likud and Bayit Yehudi's Bennett are in the opposition they will use the opportunity to get more strongly Right. 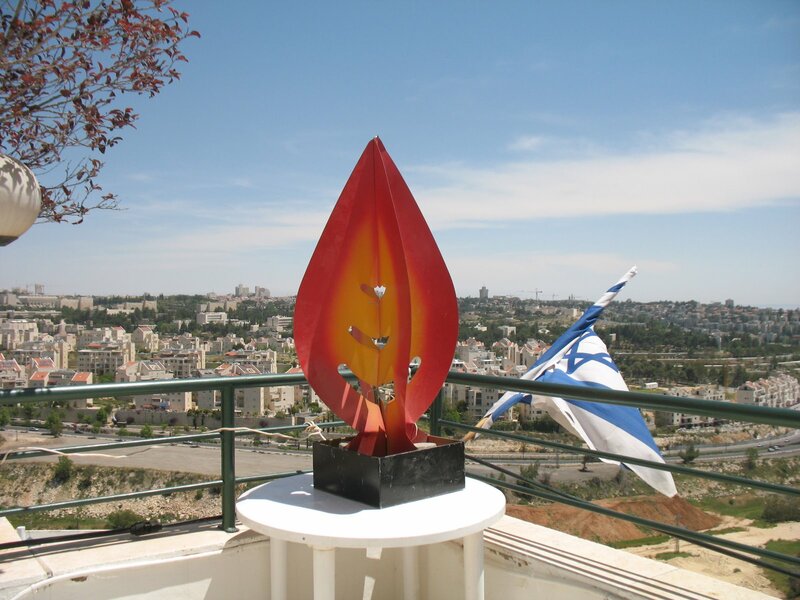 Herozg-Livni will discover that making the changes they have threatened to do will be much more difficult that they wish. Remember that in a democracy the people get the government they, the majority, the idiots, yes, all of us deserve. The Herzog-Livni campaign is based on the premise that Israel wouldn't couldn't survive without American support and aid. That's a lie. The Israeli economy is strong, and American "aid" is a sham. Not only does it consist of shopping coupons, but the coupons are to boost the American economy and to the detriment of the Israeli one. In addition the percent of the Israeli budget of these "gifts" is so minor/tiny minuscule that the lack of this aid wouldn't be noticed once new home-grown sources were activated, and this would be good for the Israeli economy. It would also enable Israel to export more, another good thing for the economy. This fallacy that we need America is very much like the "sin of the spies" which was a great mistake at a crossroad of Jewish History. Instead of trusting that G-d would perform a miracle when necessary to enable the Jewish People to take over the HolyLand, ten out of twelve tribal elders insisted that the locals were to strong. That caused the need to wander in the wilderness for 40 years. Then they were tested again and thank G-d passed. We are at another crossroad. The United States and Barack Hussein Obama aren't our savior. If anything they are our enemy. 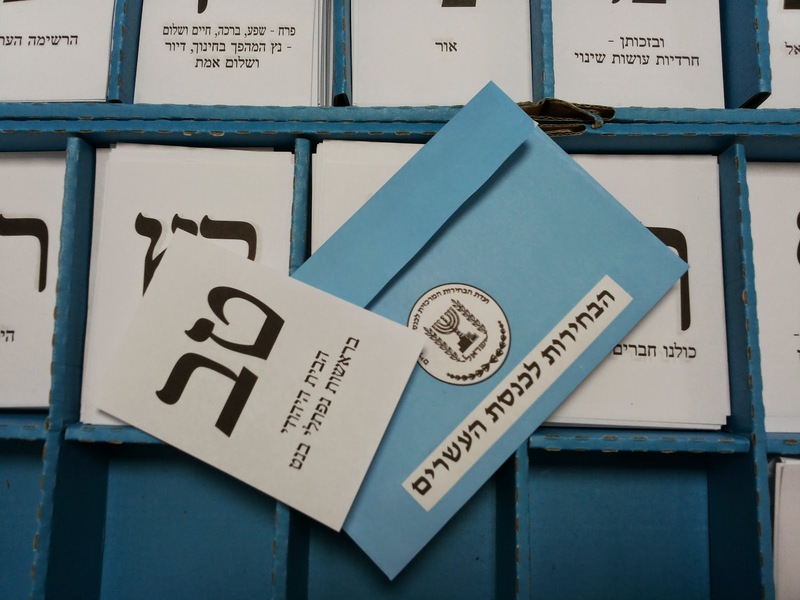 Israelis must only vote RIGHT, not LEFT. I suggest Bayit Yihudi or Likud!! Nobody else! Has the Israeli Electorate Really Gone Loony Left? I've been pretty shocked to see the latest polls, check Jeremy's site, which show the Left, Herzog-Livni, Lapid plus Arabs, pulling ahead of Likud and Bennett's Bayit Yehudi. Here in New York, everyone wants Bibi and trusts Bibi and wishes he was running the White House. I've only been in the states less than two weeks, what has been happening? Has the Israeli media really succeeded in brainwashing the public that Bibi-Likud is so awful? He's not perfect, but he's a lot better than Herzog-Livni. Watch Latma. The Herzog skit is best.